Victolero on Melton's injured hamstring in brief return: "Medyo maganda naman"
 Home  basketball  Chito Victolero  Justin Melton  Magnolia Hotshots  PBA  Victolero on Melton's injured hamstring in brief return: "Medyo maganda naman"
PASAY--If there is one positive that Magnolia can get from its 79-91 PBA Philippine Cup semifinals Game 4 loss to NLEX on Friday night, that would be the possibility for Justin Melton to play longer come the next two games of the best-of-seven series. Melton, who hurt his hamstring in Game 1, suited up for the Hotshots at the Mall of Asia Arena and even played for three minutes, although he ended up scoreless after missing his one and only field goal attempt. 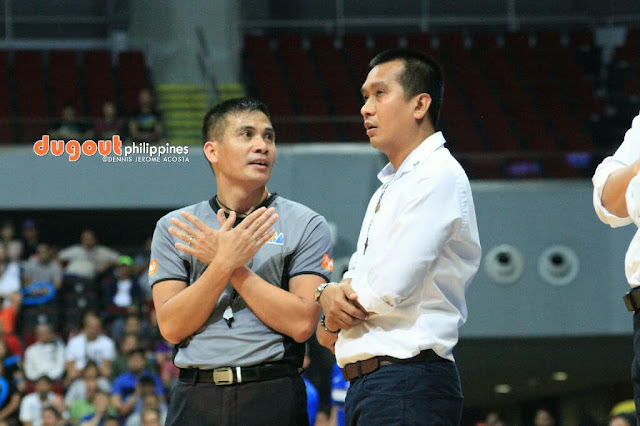 "Tinignan namin kung ano ang naramdaman niya," said Coach Chito Victolero. With Magnolia's physical therapist, Victolero evaluated Melton's movements during the game, and the gaffer noted, "Medyo maganda naman." Victolero then said that they will re-evaluate Melton for the possibility of him playing in the pivotal Game 5 at the Ynares Center in Antipolo on Sunday night.